Mac users are used to having the most popular software a release or two behind the Windows version. And so while Windows users are now downloading and using Opera 6 in record numbers, Mac users are just now getting version 5.0 of the third most-popular browser. When Opera (a Norwegian outfit) began giving away a free version of its browser with an advertising panel a year and a half or so back (with Opera 5 for Windows), the number of people using Opera began to rise exponentially. Among those familiar with it, Opera has had a reputation for being a stable, fast-loading browser since coming on the scene in the mid'90s  but who wanted to pay for a browser when Netscape and Microsoft were giving theirs away? And while Netscape and Microsoft have been dueling with specialized coding that doesn't conform to standard HTML tags, Opera's programmers have an almost religious zeal for sticking to the World Wide Web Consortium standards for HTML. Any page adhering to W3C standards for HTML will display properly on Opera. In addition to being more stable than the competition and loading web pages faster, what always made Opera different on the Windows system is that you could have multiple browser windows open within the main Opera program window. That's not going to be a big selling point on the Mac since the Mac operating system has allowed that capability for all programs for some time now. Still, if the competition for browser users is tougher in the Mac world than in Windows or Unix/Linux, Opera 5 for the Mac is still a very strong entry. The interface on the browser has the sleek, modern look from Opera 6 for Windows. Despite the similar look, though, the menus aren't all the same on the Mac as on Windows. For instance, Opera 5 on the Mac doesn't have the Personal Bar where you can place your favorite bookmarks right on the toolbar, a la Netscape, that Opera 6 for Windows now includes. Click on the bookmarks icon on the Mac, and the bookmarks open in a separate window rather than in the left-hand links panel that both Opera 5 and 6 have in Windows. Using DSL (1 Mbps+ download speed), Opera does seem to still load pages faster on the Mac than either IE 5 or Netscape 4.75 for the Mac (I couldn't download Netscape 6.2, as the Netscape server was having issues while this was being written  we'll visit Netscape 6.x for the Mac in a future column). I didn't pay to register Opera, so I do get the ads in the top right-hand panel of the browser window, but with DSL I haven't notice any extra time to download the ads; that might not hold true on a dial-up account. 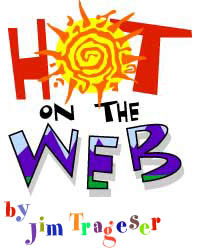 Some 12 years after Tim Berners-Lee designed the first ever Web browser on the same NeXT workstation on which he invented HTML, the state of the art is very high in Web browsers. Any of the top four browsers  IE, Netscape, Opera and Mozilla (in order of popularity)  will serve your needs quite well. All are worth trying, if only to find which one fits you the best.